Steve Jobs, the founder of Apple, Inc., was once asked if he played a musical instrument. He replied, “No, I don’t play an instrument. I conduct an orchestra.” The orchestra he referred to was his company, now the largest tech company in the world. A number of factors contributed to the success of Mr. Jobs and Apple, but one characteristic that stands out is teamwork. From senior leadership down to every line employee, it took a coordinated effort for Apple to achieve its performance goals, and, equally important, maintain them. Teamwork is essential to the success of all organizations, especially a motor carrier’s risk management efforts. As a company leader, whether a small fleet owner, a driver manager, a department head, or a corporate executive, you are a maestro, the conductor of a cross-functional safety orchestra whose shared objective is to help the company prevent losses and maximize profits. Success will depend on your ability to synchronize safety efforts so that every employee is not only playing from the same sheet of music (i.e., buying into the company’s values) but also actively contributing to the team’s success. Now ask yourself, what symphony are you conducting? Is everyone working together harmoniously to achieve shared goals, or are some playing to the beat of their own drums? If the answer is the latter, then reflect on your leadership techniques and consider the following tips to orchestrate your company’s safety efforts so they are more aligned to achieve measurable performance goals. Safety is not just a driver responsibility, nor should it fall on only one safety person. Everyone plays an equal part in achieving excellence. 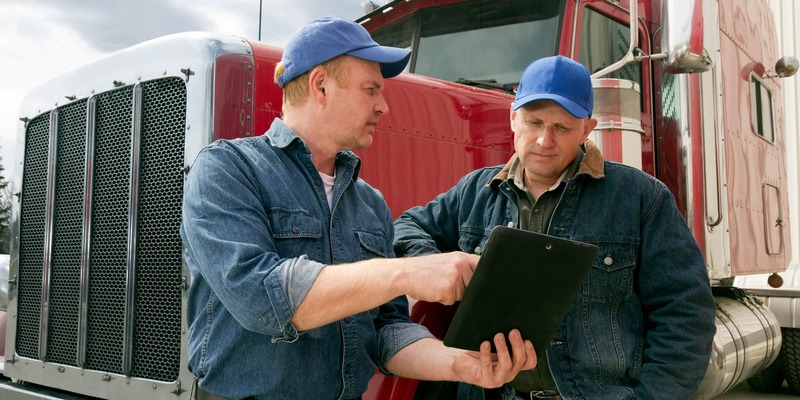 As Vince Lombardi said, “Individual commitment to a group effort: That is what makes a team work, a company work, a society work, a civilization work.” Managing the risks associated with a trucking company requires a holistic approach involving all employees, especially senior management. Involvement opportunities include having the owner share the company’s values at new employee orientation, requiring all employees to attend safety meetings, and creating a safety committee with members from every department. Communication is a key attribute of an effective leader. When it comes to safety, communication has to be a two-way street. The leadership team is responsible for communicating the company’s safety performance goals and holding each department and employee accountable. Likewise, employees must be able to communicate hazards to senior management so the hazards can be corrected. Safety should also be a regular agenda item at all team meetings. Safety benefits everyone, so each business unit must work together to achieve a shared goal. This can be a challenge because maintenance, operations, sales, and other departments often have differing priorities, which could create an impasse or conflict. In these situations of impasse or conflict, leaders may need to intercede and foster cooperation to ensure the company’s values are not compromised, even if it means jeopardizing customer service or profits. Create a safety committee with members from every department. Use the Safety Talk tracking sheet or a similar tool to set measurable safety performance goals. Review safety performance results at staff meetings. Develop an action to plan to address the company’s loss prevention efforts.